Zebra Printhead Cleaning Pen, 12/PK (105950-35) : Disk-O-Tape, Inc. Regular printhead cleaning, using Zebra Printhead Cleaning Pens, reduces replacement costs by extending the life of your printhead. 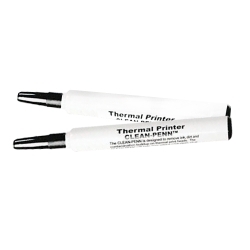 From removing tough abrasions to simple touch-ups, Zebra Printhead Cleaning Pens are an easy way to ensure you get the best quality and the longest life from your printer. 12 pens sold per pack.